The scheme by the LDF government intends to procure farm produce from North Indian farmers at minimum support price. The move seems a gesture of solidarity with the struggling farmers of North India who have been reeling under price crash of products. Recently, farmers from many states, including Uttar Pradesh, Maharashtra etc had taken to the streets to protest against the meagre prices for their agricultural produce. Under Yogi Adityanath-led BJP government in Uttar Pradesh, potato farmers in January last year dumped their produce in front of the Assembly as a mark of protest. UP contributes about 35% to the country’s total potato production and the state government was not able to buy it from the farmers and store it. Under another Bharatiya Janata Party-led government, onion farmers in Maharashtra were forced to dump their produces due to the steep fall in the wholesale price in December last year. Some of them even dumped the onion on the road to mark their protest since they got only Rs 1.50 per kilogram, whereas the production cost was around Rs 9 per kg. At present, stored onions are fetching only Rs 1-2/kg. In the wholesale market, the new variety of rabi onions are fetching only Rs 6-7/kg. The farmers are now being forced to sell their produce bearing a loss of Rs 2-3 per kg. The Kerala government’s scheme intends to procure farm produce from North Indian farmers at minimum support price (MSP). “Under this scheme, the Civil Supplies Corporation and ConsumerFed of Kerala will procure farm produce from North Indian farmers at minimum support price. The farm produce will be stored at production centres and moved to Kerala as per an agreed schedule,” Isaac said. “Kerala budget announced a scheme for direct purchase such products from farmers coops at remunerative price on long term contract for public distribution,” added Isaac. 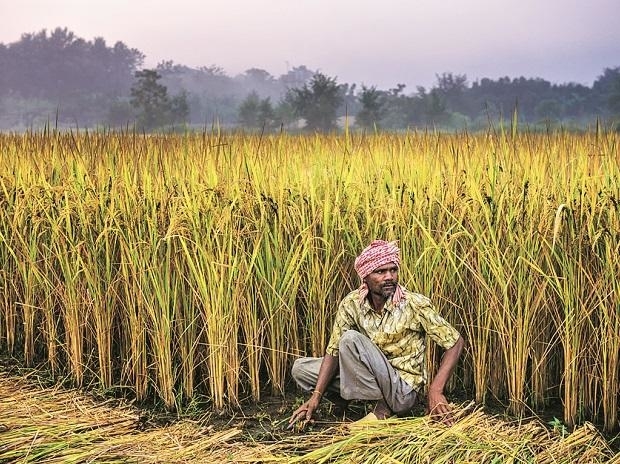 In Kerala budget 2019, the government announced Integrated Rice Parks to process the procured paddy. Not only rice powder, but ready- to-eat products from rice powder are also supposed to be produced in these centres. Rs 20 crore has already been earmarked for the parks in Palakkad, Thrissur and Alappuzha. “The parks will also function as incubation centres for start-ups. Arrangements will be made for agriculture groups pack rice in specific manner. These parks will include vast godowns for storing paddy, rice, rice products, pollution control systems and trade centres. This park will function under the control of a company having the capability for branding and selling the products at national and international level,” reads the budget. In the state, rice is being procured at an MSP of Rs 2,330 per quintal which is far more than the MSP that had been assured by the Centre. The MSP of the paddy was Rs 1,550 per quintal till June last year and then the prices had been hiked by Rs 200 per quintal.